Is our recession another blip in centuries of economic rises and falls or is something darker happening? Part of me agrees with the recent post from media critic Jeff Jarvis, who voiced a concern I’ve been working through myself: efficiency-creating technology has continued to speed and, well, there are a lot of old people coming. 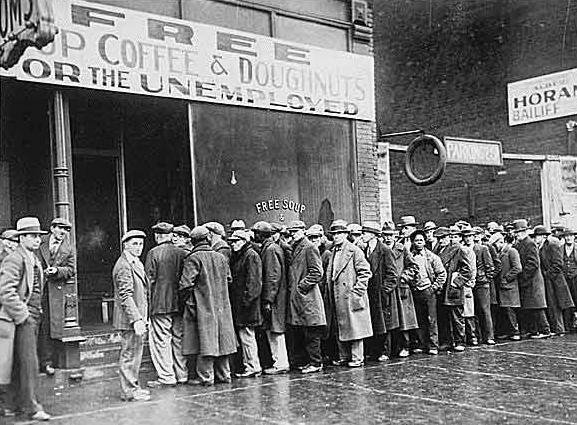 There is a real conversation happening that a new normal rate of unemployment should be expected, though there is counter to that — we’re just too close to the economic collapse to have any sense of what is normal. But here’s one additional thought I keep gnawing over. Whenever we have predicted the end — most famously, the common 20th century prediction that overpopulation would create wild hunger issues — something has happened. Well two things happened. (1) Technology, in some form, created an answer. (2) Someone was born to make and harness that technology. Now, yes, there is a very real possibility — sitting here in 2011 — that jobs are becoming obsolete (hiring sure seems to be at the moment). But there has always been this answer about harnessing population: with more humans, we have more ideas, more creativity, more solutions to have a better, longer life with less an impact on the planet. In the case of the population bomb, hunger issues today have more to do with political instability than food shortages (though that impacts short term hunger concerns). So, intuitively, as technologies reduce available jobs and we have more people who need/want jobs, we have an employment bomb. But, prognostications in the past suggest we live in a world of our own creation, so the answers may come in unexpected ways and from unexpected places.